IISER Tirupati is the sixth Institute in the chain of IISERs established by the Govt. of India under the Ministry of HRD for imparting quality education in basic sciences and for setting up state-of-the-art research facilities for frontline and cutting-edge research in science. It started academic activity started in August 2015 in the spacious transit campus located at Sri Rama Engineering College, Rami Reddy Nagar, Karkambadi Road, Tirupati. NIT Rourkela is one of the premier national level institutions for technical education in the country and is funded by the Government of India. Government of India has elevated the Regional Engineering College, Rourkela to a deemed university under the name of National Institute of Technology, Rourkela. The main objective of the institute is to produce quality Engineers and Scientists in Graduate and Post-Graduate levels in various branches of Engineering and Science. The institute is managed by the Board of Governors of National Institute of Technology (Rourkela) Society and vested with significant degree of administrative and financial autonomy. NIPER is the fifth Institute to be included in the list of premier Institutes under the Department of Pharmaceuticals, Ministry of Chemicals & Fertilizers, Govt. of India. The NIPER started functioning from the month of September, 2008. The Institute is presently housed at the NIPS, Mirza, Kamrup, Assam. The Institute has excellent facilities for advanced Education and Research in Pharmaceutical Sciences and is looking for Project/Non Teaching Staff with good experience to contribute in building this Institute as one of the best Centers for Excellence. 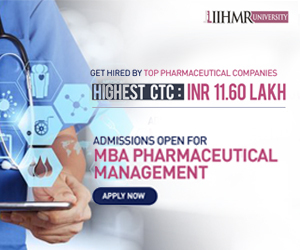 Presently the Institute is offering M.S (Pharm.) and Ph. D Programmes in five branches and planning to expand further. The Tata Memorial Centre (TMC) is a Comprehensive Cancer Centre with a mission to achieve the highest standards in patient care, cancer prevention, cancer research and professional development for oncology and allied disciplines. TMC is an autonomous body funded, controlled by the Department of Atomic Energy, Government of India. TMC is affiliated to Homi Bhabha National Institute (HBNI). The HBNI is a Deemed University of the Department of Atomic Energy with a mission to develop high quality postgraduate educational programs in science and technology including those related to life and health sciences. TMC invites applications from eligible candidates of Indian nationality, who are keen to pursue a career in TMC. Rajendra Memorial Research Institute of Medical Sciences, Agamkuan, Patna 800 007, a permanent Institute of Indian Council of Medical Research, Department of Health Research, Ministry of Health & Family Welfare, Govt. of India, invites online applications from suitable candidates for appointment on the Group A Scientific posts as mentioned below. National Health Systems Resource Centre (NHSRC) has been set up under the National Health Mission (NHM) as an autonomous registered society, to channelize technical assistance and capacity building support to the states for strengthening the public health system. The NHSRC is also mandated to contribute towards National strategic health planning and programme design. Work at the NHSRC is organised around eight divisions, namely – Community Processes, Quality Improvement, Public Health Planning, Public Health Administration, Healthcare Financing & Healthcare Technology, HMIS and Human Resources for Health. National Health Systems Resource Centre (NHSRC), New Delhi on behalf of Ministry of Health & Family Welfare is seeking applications from qualified candidates for Consultant – Public Health (NCD - CPHC Software) post purely on contractual basis. The National Institute of Virology is one of the major Institutes of the Indian Council of Medical Research (ICMR). 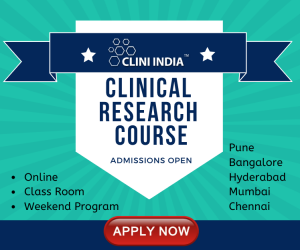 It was established at Pune, Maharashtra State in 1952 as Virus Research Centre (VRC) under the auspices of the ICMR and the Rockefeller Foundation (RF), USA. It was an outcome of the global programme of the RF for investigating the Arthropod Borne viruses. Since the studies on arboviruses and their arthropod vectors involve most of the basic principles and techniques of general virology, entomology and zoology, these viruses were also considered to be an ideal group, to begin with, for intensive training and research in virology in our country.